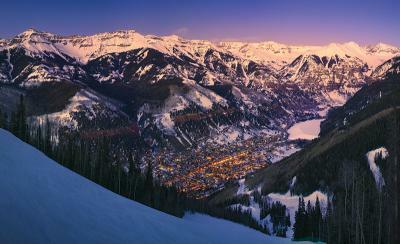 Telluride Ski Resort is a world-class ski and snowboard destination resort in Colorado that has something for everyone. Boasting an idyllic, out-of-the-way location and legendary terrain on its award-winning slopes, the resort offers an unforgettable experience for winter sport enthusiasts. Nestled in picturesque Mountain Village, Colorado and linked to the nearby Town of Telluride via a free community gondola, Telluride Ski Resort's seemingly untouched location is one of the resort's greatest strengths according to Pepper Raper, interim PR manager for Telluride Ski and Golf. "Our unique location plays a big role in making Telluride Ski Resort stand out, both because it's spectacularly beautiful and because it's also a little more untouched," Raper said. "We are in the southwest corner of Colorado - we're actually closer to Albuquerque than we are to Denver - so we don't get a lot of the traffic that some of the other ski resorts do that you can drive to. We really are a destination resort, but because of our location, we just have this unparalleled natural beauty." Getting to Telluride Ski Resort from the Telluride/Montrose Regional Airport via ground transportation can be arranged via taxi, rental car, or shuttle services. Guests can also arrange for a limousine to pick them up at the airport and drive them to their destination in style. Telluride Ski Resort has a well-deserved reputation for excellent skiing facilities that's supported by an array of travel industry awards. The resort was ranked America's Best Ski Resort by Condé Nast Traveler for three years in a row (2013-2015), and has also received top honors from Ski Magazine, Travel + Leisure, and Sunset Magazine. 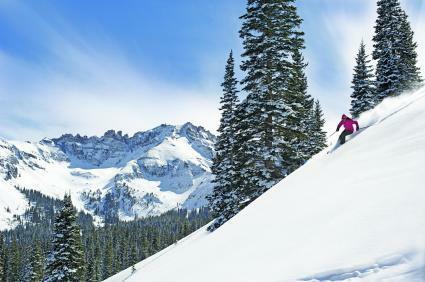 One of the things that sets Telluride apart is its ability to offer a great experience for skiers of all skill levels. Of the resort's 127 trails, 23 percent are suitable for beginners, 36 percent are designed for intermediates, and 41 percent are rated challenging enough for advanced skiers and experts. Guests can navigate the slopes via 18 lifts that have a total capacity of more than 22,386 skiers per hour. Unlike other popular ski resorts, long lift lines at Telluride are exceptionally rare; wait times are typically five minutes or less. Feedback on the skiing facilities at Telluride Ski Resort is overwhelmingly positive from both TripAdvisor reviewers and Yelpers, but one On the Snow reviewer felt that the runs weren't quite challenging enough for advanced/expert-level snowboarders. There are more than 60 lodging options here from which to choose. Telluride Resort Reservations, the central reservations desk for the resort, can arrange accommodations at hotels, as well as condo, townhome, and vacation home rentals, most of which offer ski-in/ski-out convenience. ​Condé Nast Traveler included Fairmont Heritage Place Franz Klammer Lodge on their list of the top 25 resorts in the United States for 2014-2015. The travel publication also recognized several area hotels as being among the best accommodations in Colorado, including the Inn at Lost Creek, Mountain Lodge, and The Peaks Resort and Spa. The majority of online reviewers reported positive experiences at area hotels. However, some reviewers did note that valet parking is mandatory at several properties. Not all guests were pleased with their valet service, or the extra cost they incurred when tipping their valets. 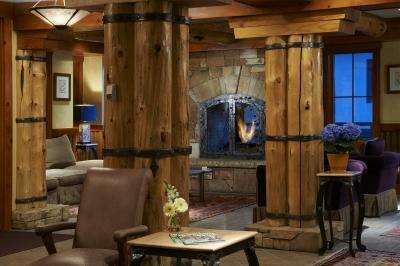 For travelers seeking a robust vacation experience, Telluride Ski Resort offers excellent shopping and dining options. Mountain Village has nearly 20 quaint boutique shops that offer everything from groceries to sports apparel and equipment while nearby Telluride boasts an additional 79 retailers. While most reviewers raved about their time at Telluride Ski Resort, Powerhounds had a couple of criticisms regarding the in-town experience. The ski website reported less-than-stellar customer service at some of the ski and snowboard shops in Mountain Village, and noted that The Village Market grocery store does not allow customers to wear their ski boots inside, making quick stops at the store inconvenient. With nearly 70 area restaurants, dining options are also plentiful. There are more than 20 restaurants in Mountain Village, more than 40 restaurants in Telluride, and seven restaurants on the mountain itself. The majority of these serve up hearty family-style or high-end casual fare. The area doesn't offer much in the way of fine dining, but diners who are looking for something a bit fancier won't be disappointed with the upscale Italian cuisine at Alpino Vino or La Piazza del Villaggio. Reviews at TripAdvisor rave about the great service, food, and wine at Cosmopolitan Telluride, as well as the delectable food and breathtaking views at Allred's. Yelpers favored the Thai and Thai-fusion cuisine at Siam and praised the crunchy, Detroit-style pizza at Brown Dog Pizza. Children and beginner skiers won't feel left out at Telluride Ski Resort, where nearly a quarter of the resort's runs are designed with them in mind and a world-class ski and snowboard school imparts the skills that inexperienced skiers need to make the most of their time on the slopes. The school offers private and group lessons for adults, group lessons for children age two-and-a-half and older, and specialty camps to help students hone their skills. Most TripAdvisor reviewers had excellent things to say about the ski and snowboard school though some complained that the ski instruction was expensive. The Meadows run and Ute terrain park provide some of the resort's most popular terrain for beginners. As they become more confident, beginners can also take advantage of some of the advanced beginner runs, such as Bridges, Madison, and the Galloping Goose. Telluride Ski Resort is more than just a winter vacation hotspot. In the summer, winter sports enthusiasts give way to golf enthusiasts who come to enjoy the beautiful Telluride Golf Club at Mountain Village's Peaks Resort. The 18-hole, par-70 resort course features lovely scenery. Though golfing is the resort's most popular summer activity, even guests who aren't interested in hitting the links are unlikely to find themselves bored. "For a very small town -- we have fewer than 3,000 people here -- there is really something for everyone," says Raper. "There are spas and in the summer we have a great golf course. I think that we really have almost anything that a guest is looking for." Mountain Village also boasts a ropes course and bungee trampoline, and guests can even book a 4x4 or ATV tour through mountain passes, ghost towns, and mining ruins. 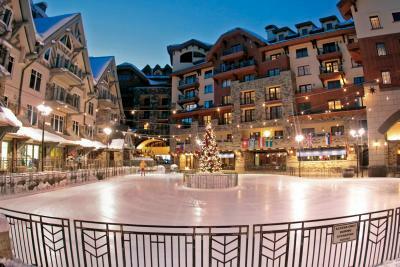 A visit to a premier ski resort can come with a hefty price tag. In fact, expensive lift tickets were one of the few complaints Yelp users had about this popular resort. Fortunately, budget-conscious travelers who plan in advance can find ways to shave a few dollars off the cost of the trip. For example, purchasing Telluride Ski Resort lift tickets online at least two days in advance can save travelers up to eight percent on two or more days of skiing. Hotels in the area also offer a number of discounted vacation packages, which typically include both lodging and lift tickets. Some ski resort vacation packages also include extras, such as transportation to and from the airport, spa treatments, and meals. With stellar ski facilities, comfortable ski-in/ski-out accommodations, and a bevy of local shopping and dining options, visiting Telluride Ski Resort promises to be a memorable experience for the whole family. Careful planning can help ensure that the vacation goes smoothly, leaving travelers plenty of time and energy to hit the slopes, or relax and rejuvenate.